I never thought I'd see transformers, a bike with a car front, a pirate ship, or animatronic dinosaurs (not pictured here) on my trip to Laos but yet here they are. Unexpected and fun to see! 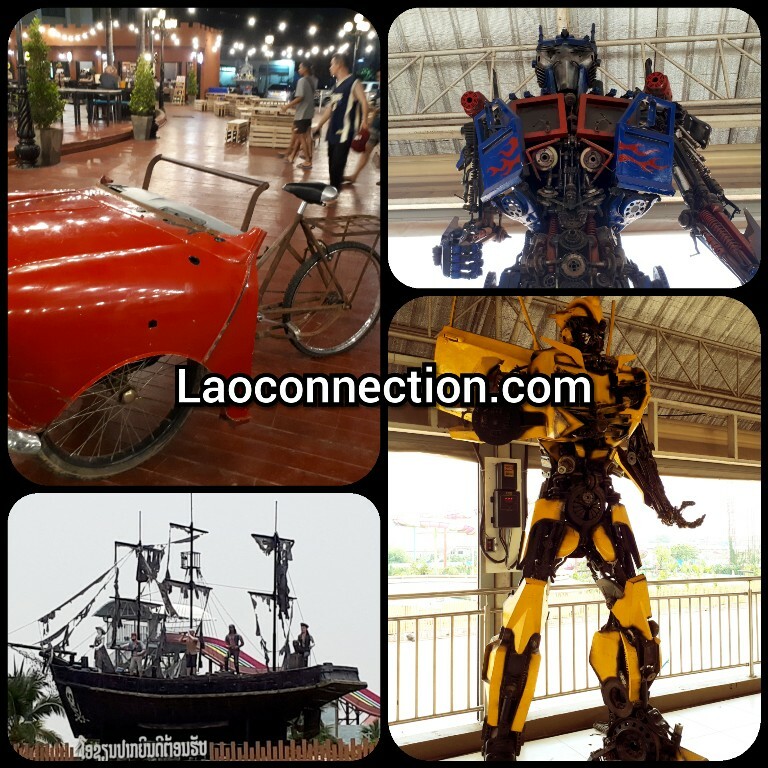 These are pictures I took while visiting around Vientiane. A city that continues to grow enormously with the suburbs spreading out in every direction. 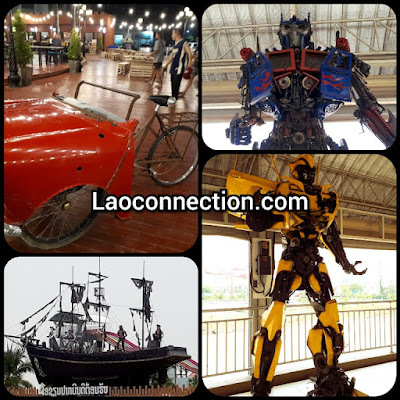 Pictured above: Car/bike at Nampu, transformers at the walk bridge connecting the two big buildings at ITECC, and the pirate ship was at the waterpark next to ITECC.